Strum along with your favorite hits! 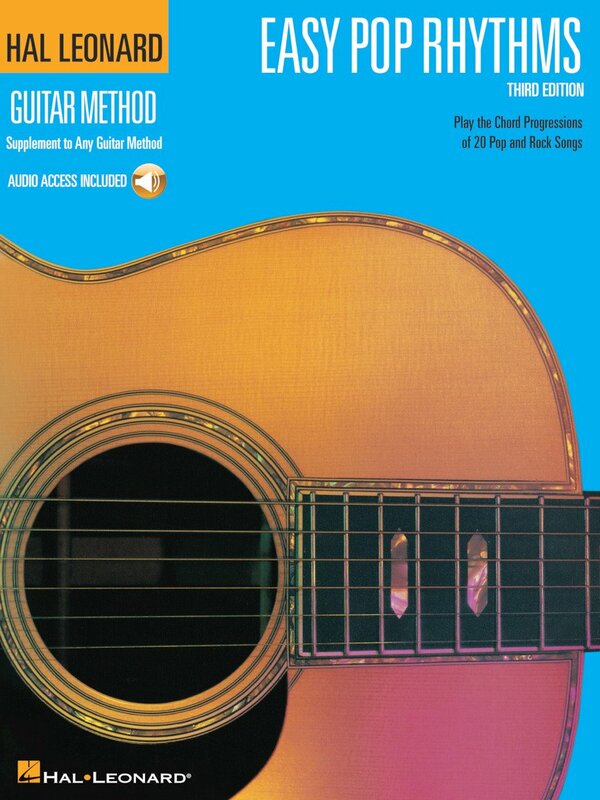 This third edition is correlated to work with any guitar method book 1. The songs are presented in order of difficulty – beginning with simple three- and four-note tunes and ending with songs that contain many chords, including seventh chords and barre chords. 20 songs in all: All Along the Watchtower • Hey, Soul Sister • Iris • Jambalaya (On the Bayou) • Learning to Fly • Love Me Do • Simple Man • Surfin' U.S.A. • That'll Be the Day • Wonderful Tonight • and more. The accompanying audio features every song recorded by a full band, so you can hear how each song sounds and then play along when you're ready. The audio is accessed online using the unique code inside each book and can be streamed or downloaded. The audio files include PLAYBACK+, a multi-functional audio player that allows you to slow down audio without changing pitch, set loop points, change keys, and pan left or right.